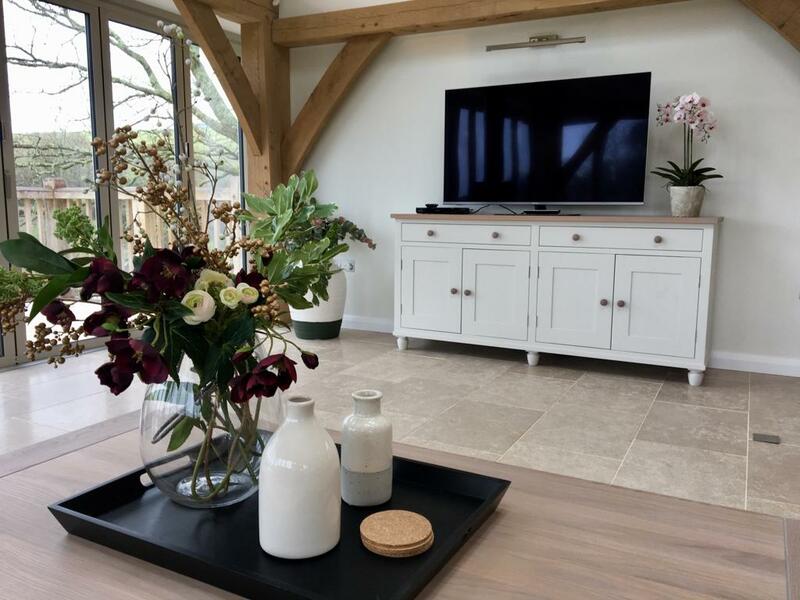 Muddy Stilettos reviews the brand new Gitcombe Retreat, part of an award-winning cluster of cottages in South Devon. 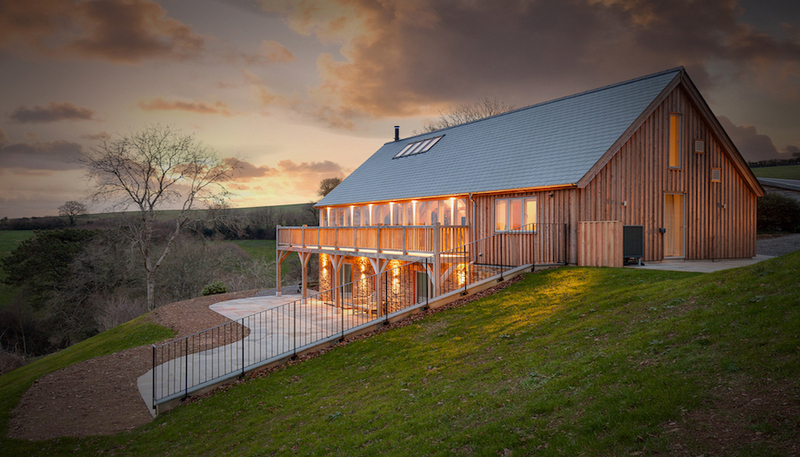 The brand new Gitcombe Retreat is the latest addition to a cluster of luxury cottages in South Devon. 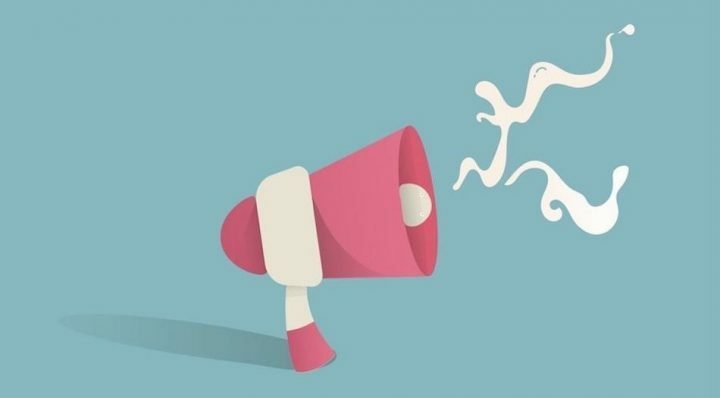 Having finally prised my jaw from the ground and found some words, read them here! 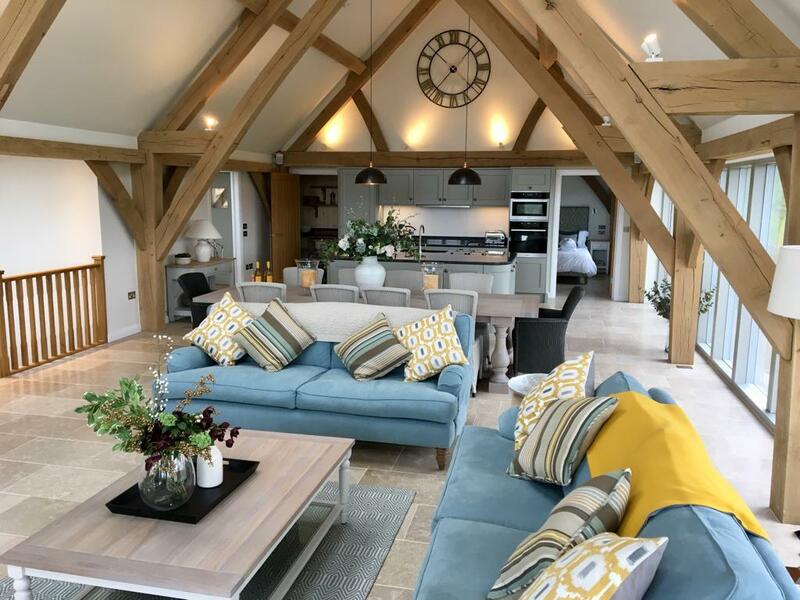 It’s not often I’m rendered speechless – ask Mr Muddy – but when you’re invited to stay in a self-catering holiday rental that’s masquerading as a Grand Designs pad worthy of some of Kevin McCloud’s lyrical musings, that’s exactly what happens. 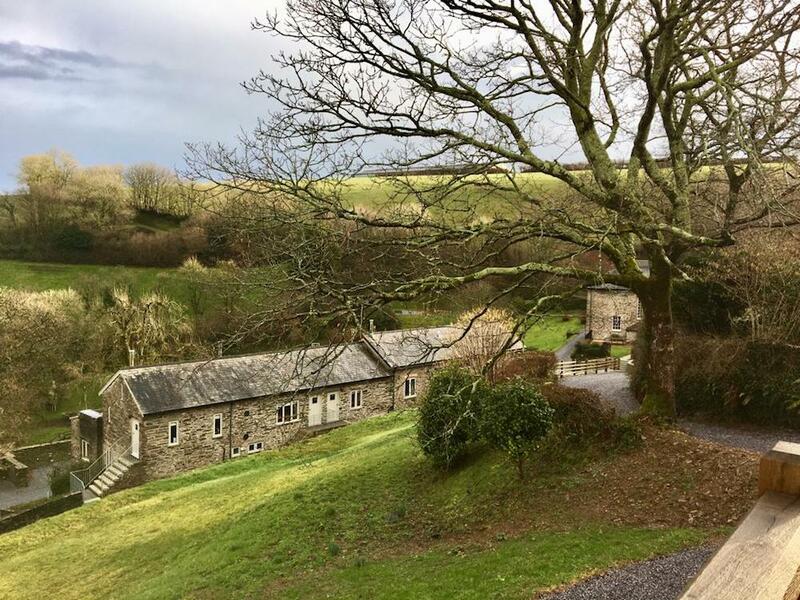 But for all of its shiny new luxuries, the Gitcombe Retreat somehow still manages to pull off being a child-friendly, cosy country bolt-hole with aplomb. Staycation, anyone? Read on and then snaffle yourself a Muddy 15% discount! 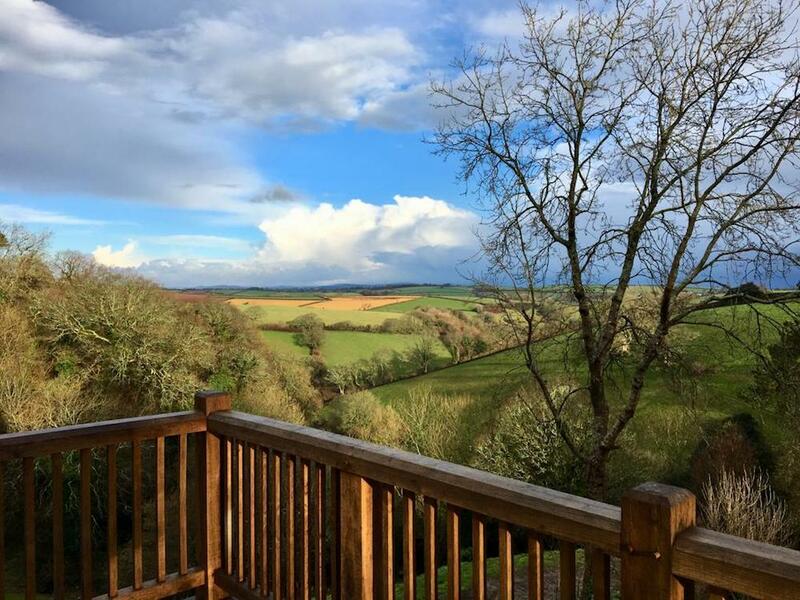 Gitcombe is a cluster of 9 luxury (Gold rated 4 and 5 star) cottages spread out in a beautifully maintained private south Devon valley. It’s the home of Peter O’Brien and his father Rodney, who moved here in 2013 and still live on-site overseeing a slick operation. It’s the kind of place where you can confidently come and relax in all-weather, without feeling the claustrophobic urge to leave, but with plenty around you to explore, should you want to. 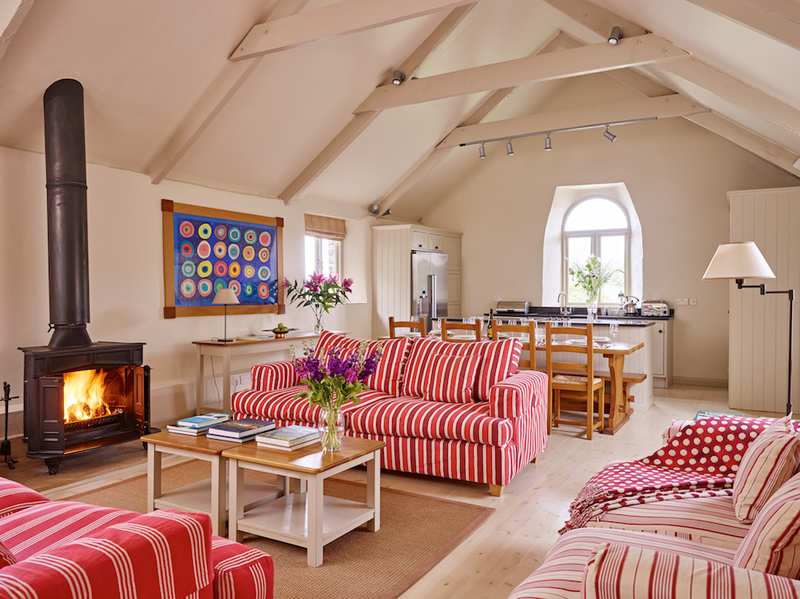 Depending on how big your group is, you can take your pick, from cosier cottages sleeping 4 + infant, right through to the grand Georgian Gitcombe House, sleeping 13 + infants. 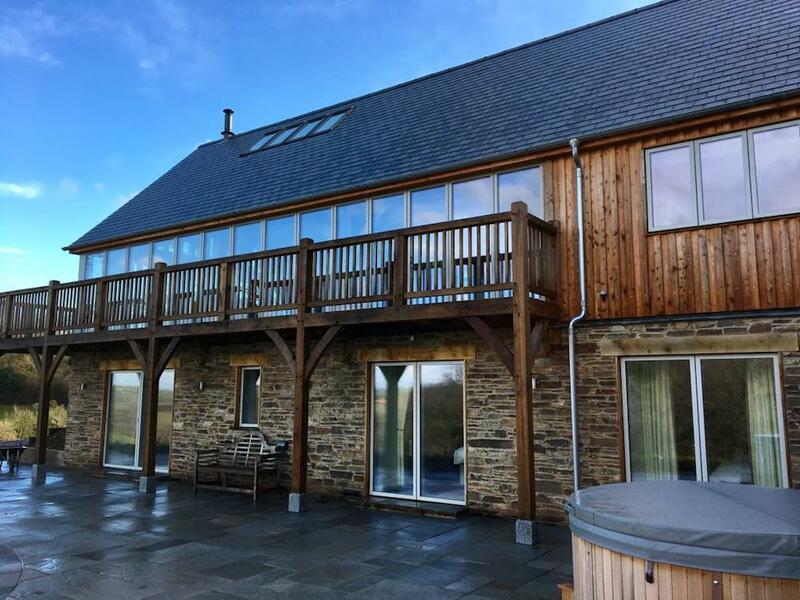 Our home for the weekend, the brand new 4 bedroom Gitcombe Retreat, sleeps 8 + 2 infants, so there’s plenty of choice to suit your needs. In the two years I’ve been doing this job, I’ve realised that Devon is a ginormous county and, even as a local, there are always new places waiting to be discovered, FACT. 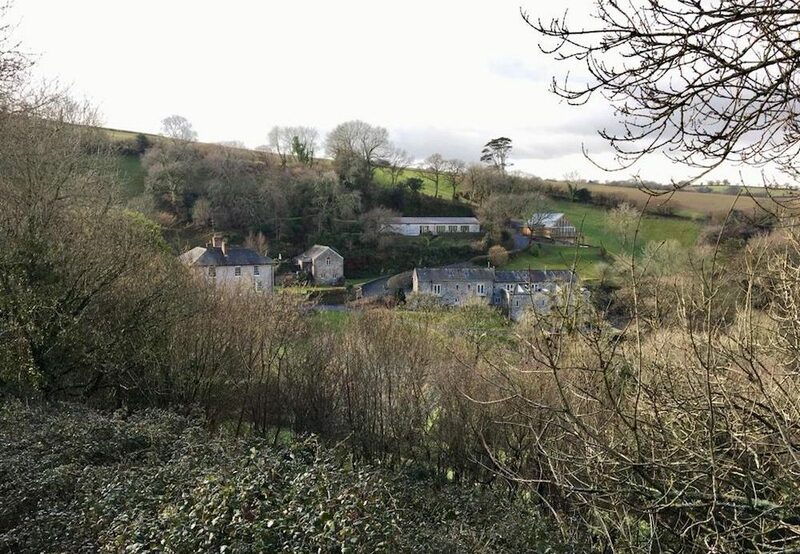 I’ve been to Totnes countless times, but have I ever ventured off the beaten track, through woodland and alongside streams, to the villages of Tuckenhay and Cornworthy, just a few miles beyond? I’m ashamed to say no, but this actually worked in our favour coming to Gitcombe, as we felt like true tourists pitching up in pastures new. If you’re not used to country lanes, once you’ve passed through Dartington and Totnes, it turns a little hairy, as you descend towards the pretty village of Tuckenhay, past waterside pubs, including the Maltster’s Arms (once owned by the late Keith Floyd and a recommended spot for a pub lunch). Then it’s back uphill and away from any hustle and bustle, where you’ll finally arrive at Gitcombe. Because you’re a drive away from anywhere, it’s a good idea to come by car, but that said, Totnes isn’t far and, if you’re coming by train, you can join the mainline to Paddington from there. Once you’ve arrived, all you really need to think about is feeding yourselves, if you’ve not already asked the nice supermarket people to deliver your goodies. Then, it’s really a case of making yourself feel at home, which won’t take long at all – the local fudge and Sharpham wine worked a treat for us! It’s extremely laidback and if you meet Peter or any of the team you’ll immediately feel at ease to crack on with enjoying yourselves. They’re a lovely bunch who, we discovered, can’t do enough for you. 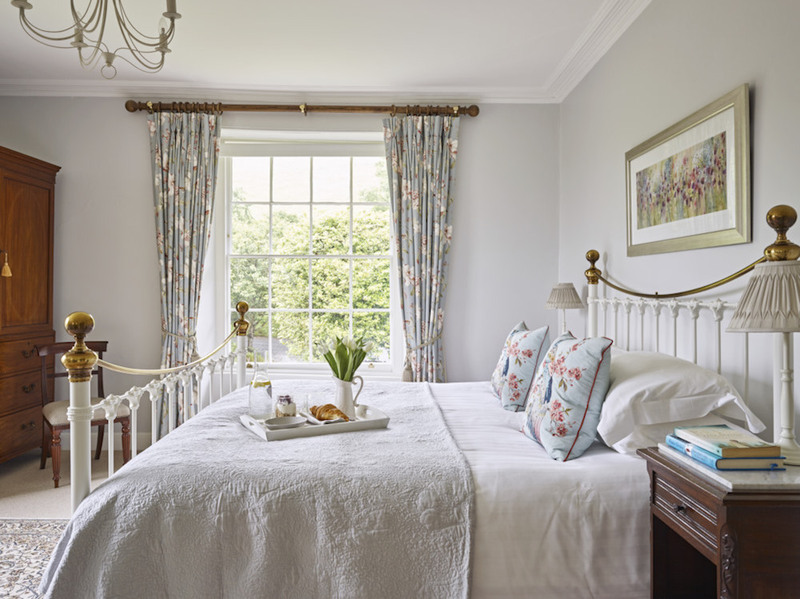 The nice thing about the cottages, all dotted about the estate is that they’re all a little bit different in layout, style and decor, each one in-keeping with the character of the cottage. 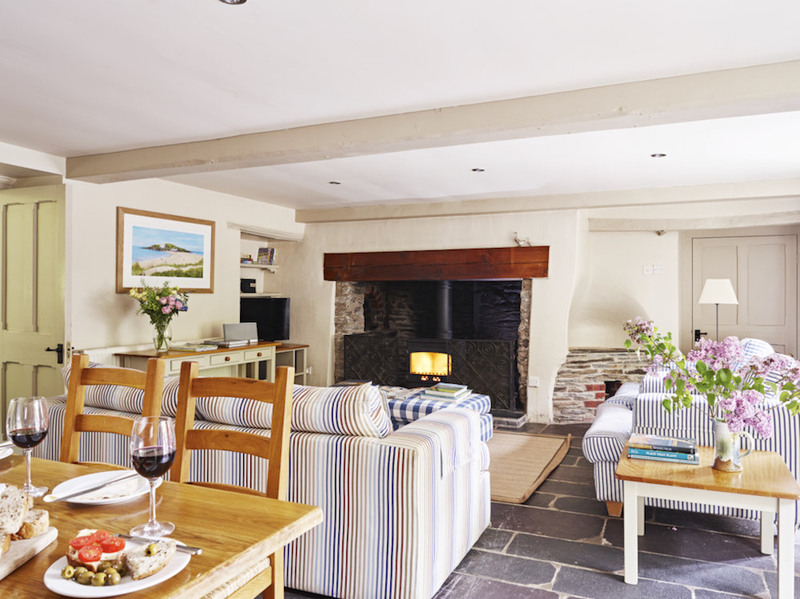 Some have comfy sofas in front of log fires, flagstone floors beneath low ceilings. Others open up into the eaves, giving a sense of space for larger groups. Then you have the more stately looking Gitcombe House, the largest and most grown-up of the group. 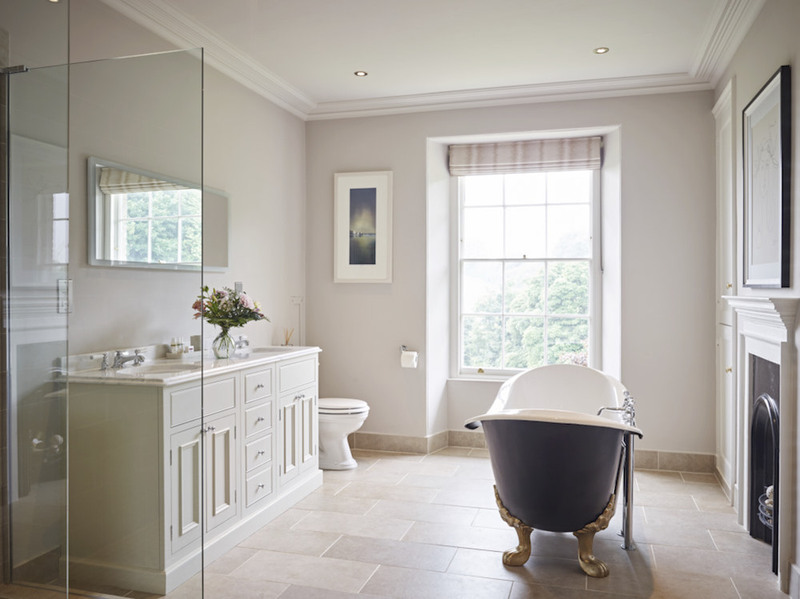 Here, a more elegant scheme prevails, antiques blended with soft furnishings worthy of an English country cottage. But let’s talk about the newest baby of the family, the Gitcombe Retreat, our home for the night (forever, if I had my way). Just look at this beauty, perched in a commanding position overlooking the valley, away from the other cottages, yet just a few steps from the facilities, which I will acquaint you with in just a moment. 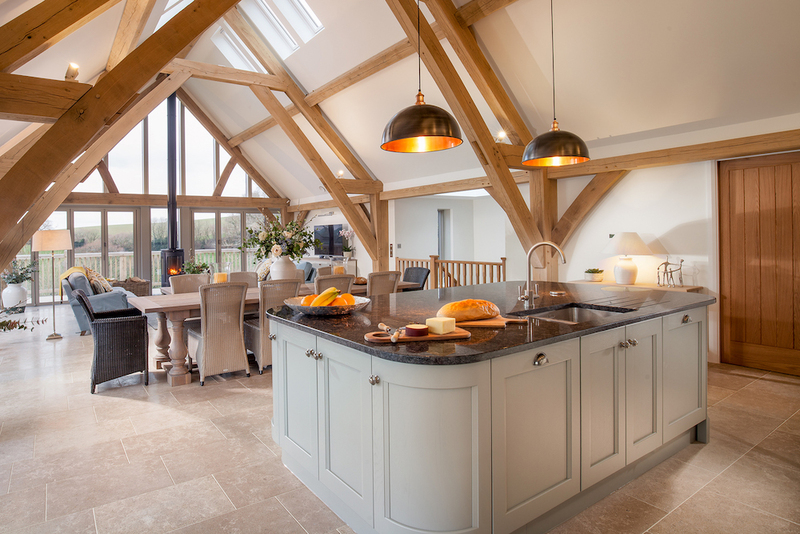 It’s a beautiful, architect-designed, oak frame building that stands out from the crowd, yet blends well with the surroundings. Yes, that IS a hot tub, affording splendiferous views! On the ground floor there are windows all the way around on two sides, opening up the interior to natural daylight and inviting you to take in the views at every opportunity. In the warmer months, you can open up the bi-folding doors and make use of the wrap-around oak frame balcony. Even in the depths of winter, with a night of downpours approaching, you can’t help wanting to stand and gaze across the rolling hills, to twinkly villages as dusk falls. 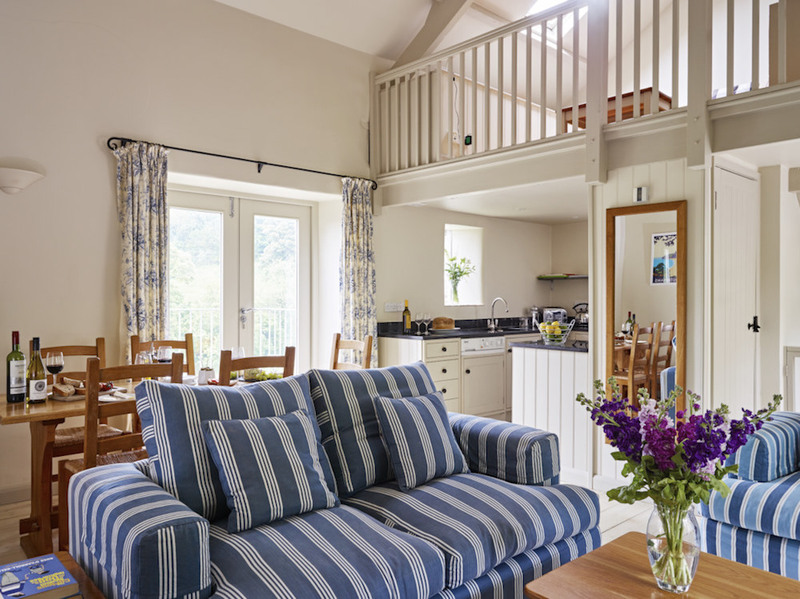 Gitcombe Retreat has been thoughtfully designed with ‘upside-down’ living, to make the most of its position. 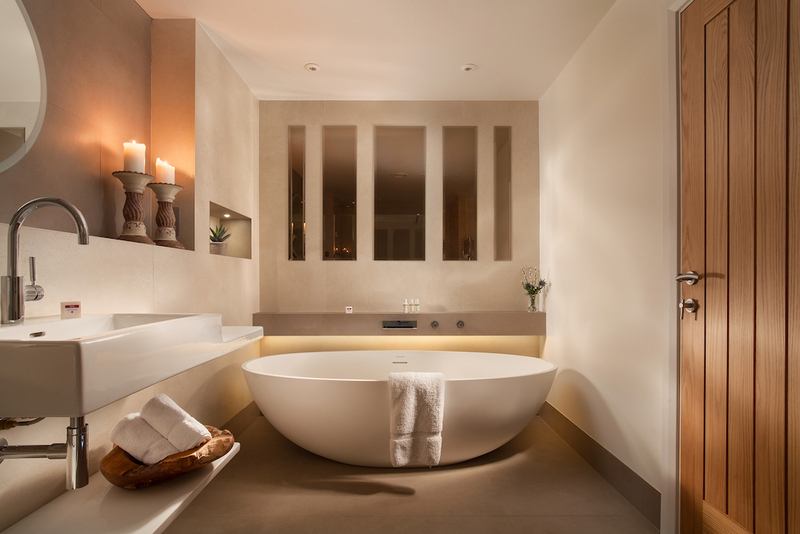 You enter on the ground floor, into a vast open-plan living space, with an en-suite bedroom just off the kitchen. 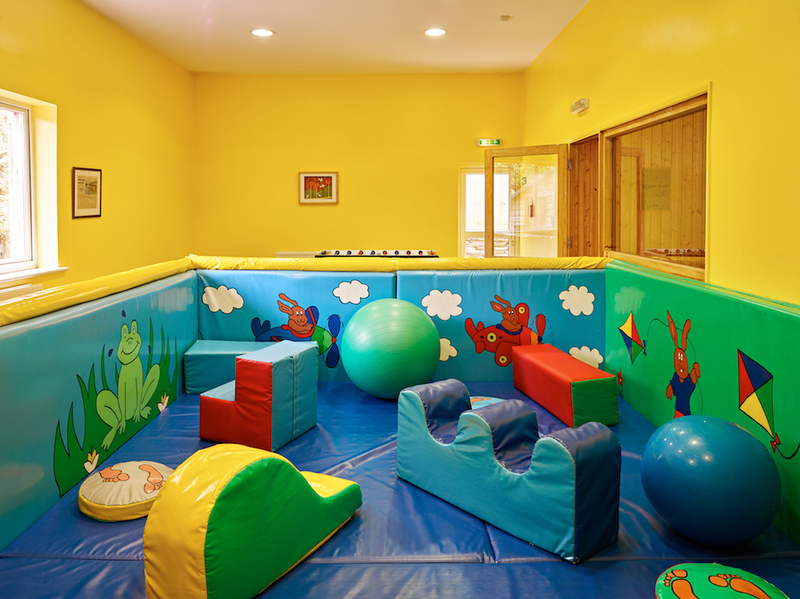 The unique feature of this property is how seriously high spec it is for somewhere that is also so child-friendly. Farrow & Ball shades and tasteful artwork compliment solid oak beams and limestone floors; the kitchen is kitted out with designer appliances and a hugely impressive range of gadgetry, while the living room is stocked with a good selection of games and reading material; underfloor heating, gentle sensor lights for nighttime trips to the loo and a Sonos sound system all make a stay here feel very special indeed. Honestly? Be warned, at some point in proceedings, you’ll probably utter the words ‘why can’t we live somewhere like this?’ which may in turn open the floodgates to heated debate and fumbling in your bag for any signs of unchecked Lottery tickets. It’s inevitable (if you’re me and Mr Muddy, anyway). This place is just finding its feet, Peter told us, asking for any feedback; err, there’s no ‘finding’ Peter, I think ‘found’ is the word you’re looking for! 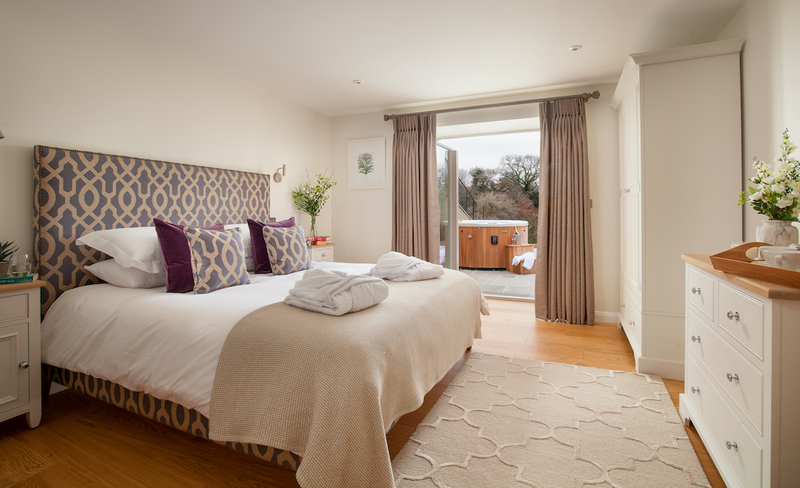 Downstairs you’ll find the rest of the bedrooms, each with direct access outdoors to the patio and hot tub. 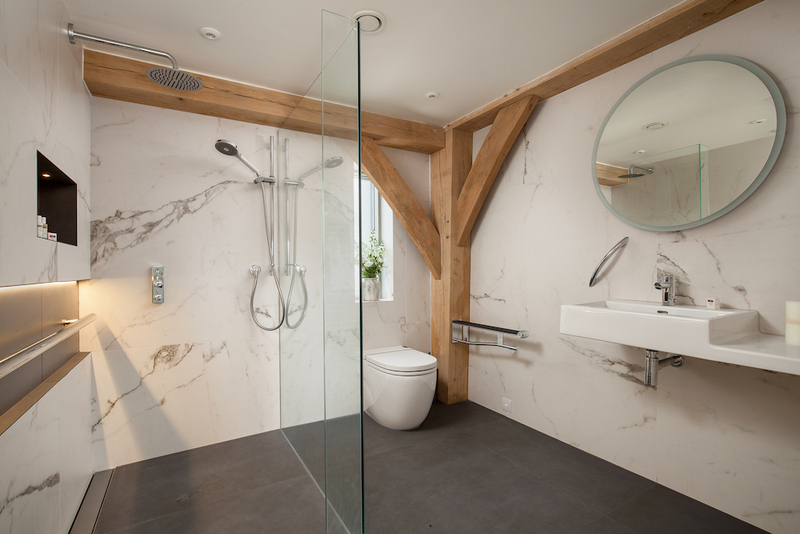 There’s also a fabulous bathroom, although three of the four bedrooms have en-suites, plus a discreet utility room. 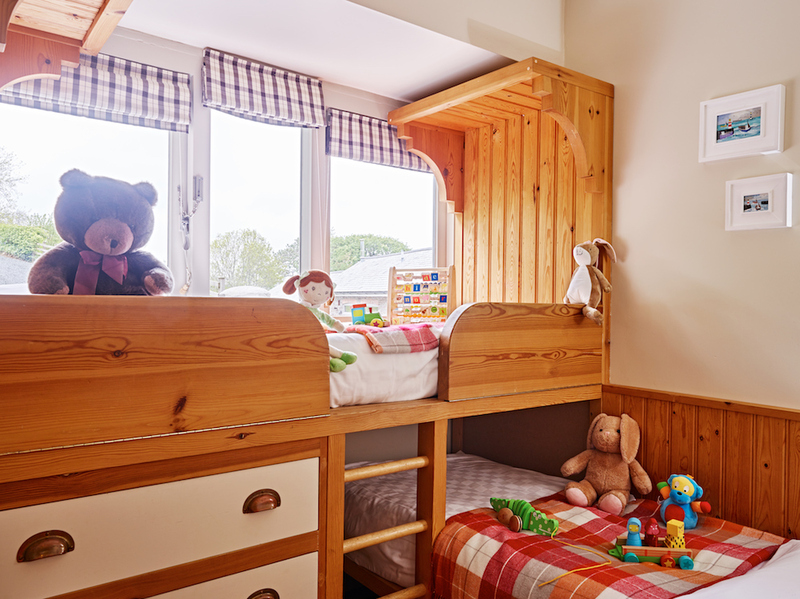 The bedrooms are nicely designed by the local Holly Keeling Interiors and are all a great size, with plenty of room for travel cots, if you need them. 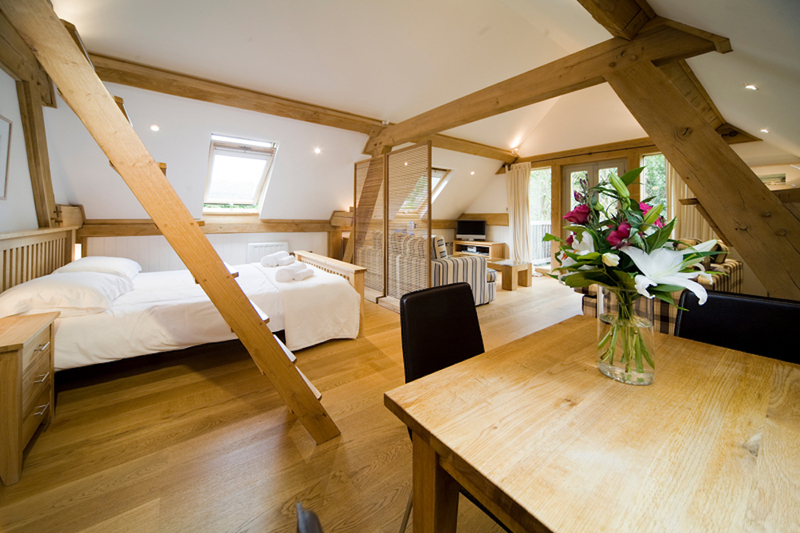 We actually struggled to figure out which one was the master bedroom, as they were all so blimmin’ lovely! I, being the lazy oaf that I am, plumped for the one directly by the hot tub (I didn’t want the local wildlife being scared off at the sight of me wobbling to and fro). You know you’re onto a winner if a little part of you is secretly hoping for a rainy day, so you can really kick back and luxuriate in your surroundings with an enforced Duvet Day. 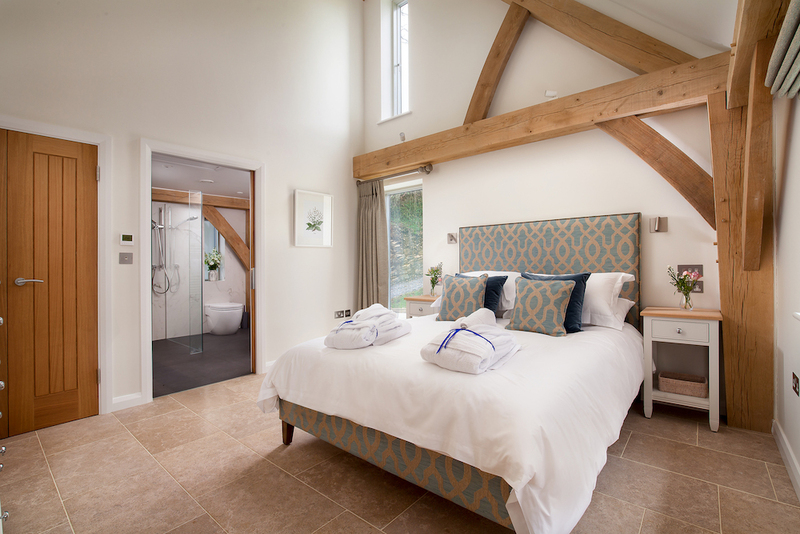 If you’re lucky enough to be bedding down in the Gitcombe Retreat, then you have your own private hot tub, where you can sit and gaze across the valley. 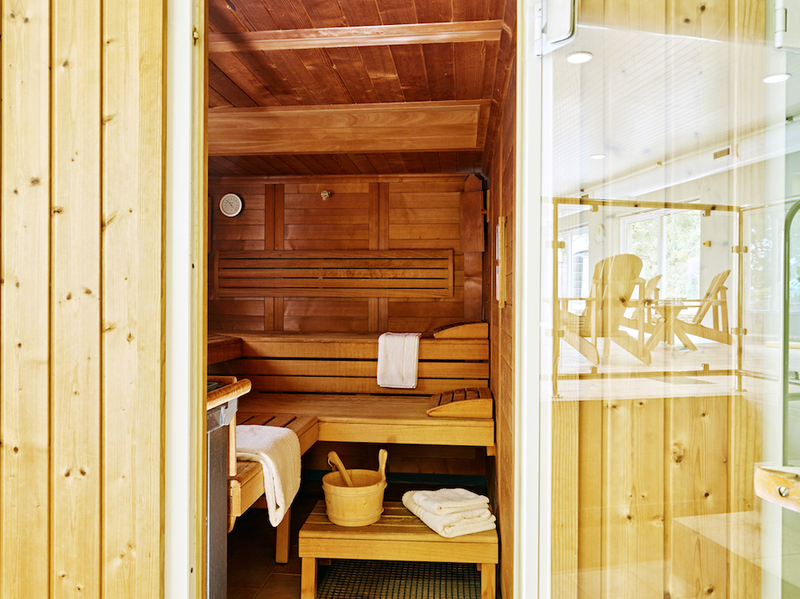 The rest of you will have to “slum it”, I’m afraid, not that indoor and outdoor heated pools, with sauna, steam room and a jacuzzi are in any way to be sniffed at. 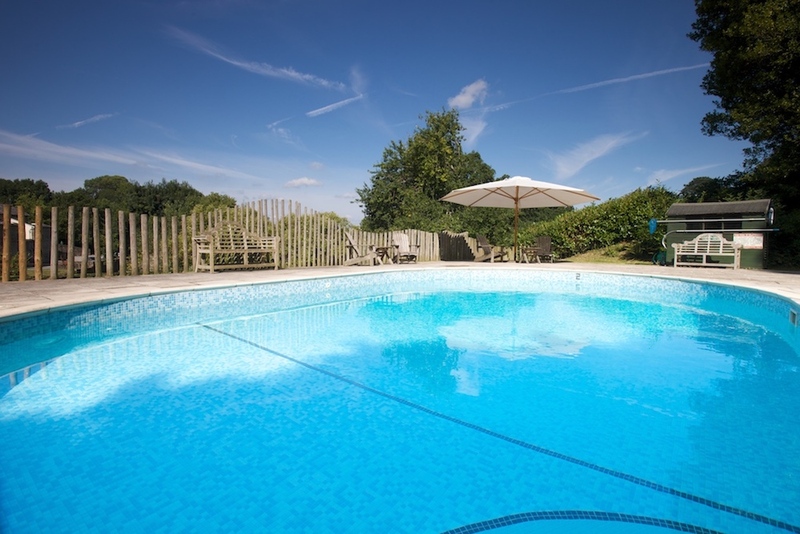 It’s a great set-up for a daily swim and a laze on the loungers if you’re lucky with the weather. 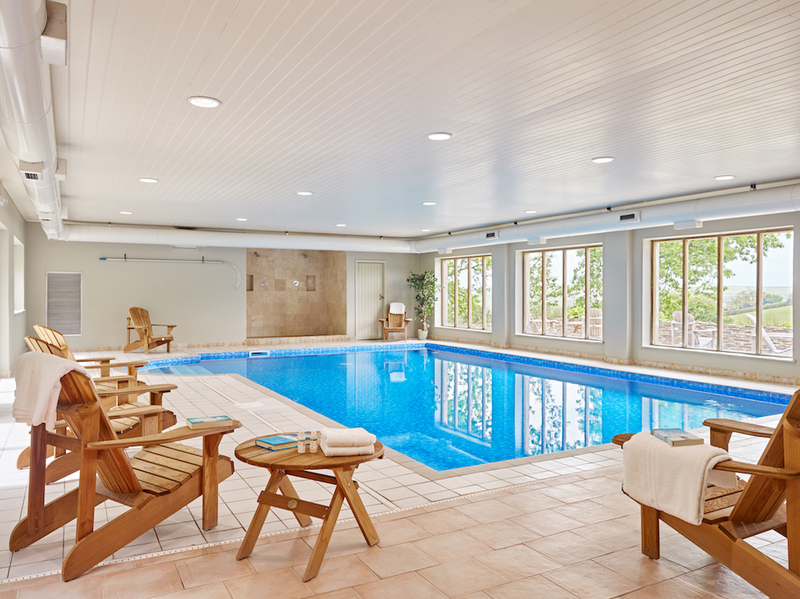 Beyond the splashy things, you’ll find a tennis court, adventure playground for the kids, spaces to wander and sit in peace, as well as an indoor soft play area and games room for all-weather entertainment. Parents, rejoice! Gitcombe is family-friendly through and through. Babies, toddlers and children have all been considered, with plenty of touches that make life easier and lighten the load when packing. You can rest assured that stairgates (in all apart from the House), travel cots, high chairs and tableware are in abundance. I can remember feeling slightly panicky when our Mudlet arrived in the world, assuming that our penchant for weekends away were going to become a distant memory. But then you discover somewhere like Gitcombe and your faith is restored. But a word to those without kids, too. It’s totally possible to make the most of Gitcombe’s grown-up side without fear of being overrun by small people; there’s plenty of space for everyone here. The Gitcombe Retreat was designed to be accessible to all and has just been officially recognised for it. There is full accommodation at ground floor, with parking directly outside and the pool facilities adjacent. The double room has a lovely en-suite and *that* view, again. Should you drag yourself out, then a beach day or two should be high on the agenda. You’re an easy driving distance from some stunning – and award-winning – stretches of sand, including Bantham and Blackpoool Sands. 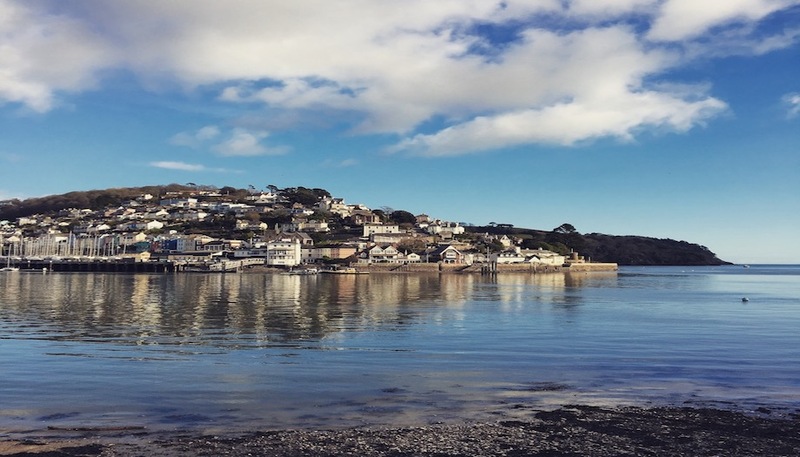 Dartmouth is also a must for browsing boutiques, taking a boat trip along the river Dart and indulging in some good food at one of the many restaurants. Totnes and Dartington offer a myriad of quirky shops, lovely cafe’s and a seriously laidback vibe. For the small people, Woodlands theme park is in your neck of the woods, too. I’m barely scratching the surface here though, this part of Devon really does deliver when it comes to holidays. Good for: Families, group get-togethers, multi-generational holidays and romantic breaks. With good access for the disabled, Gitcombe ticks the boxes for everyone, really, but the child-friendliness is especially alluring for parents. Not for: The reluctant cooks may feel a bit sulky at the fact that eating out requires driving off. For dog lover’s, it’s worth knowing that Gitcombe doesn’t accept pets, apart from fully trained dogs for the visually impaired. 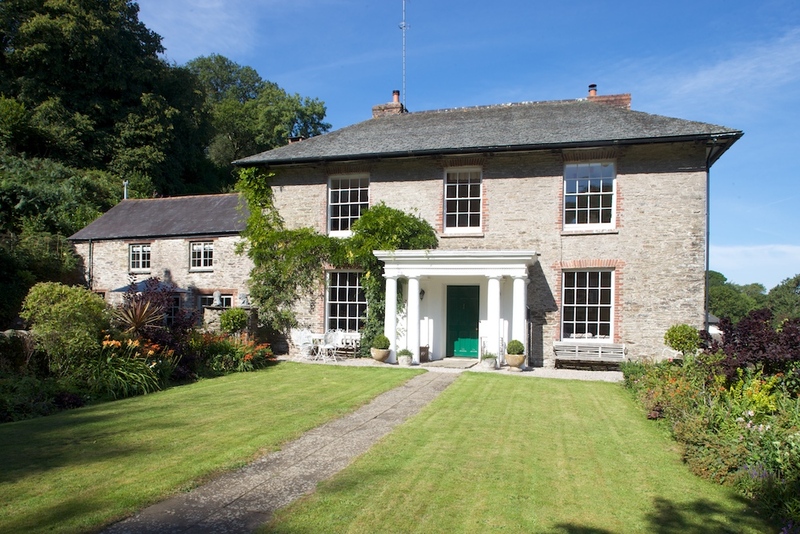 ££: Our base, Gitcombe Retreat isn’t cheap and nor should it be; it really is high-end luxury. Prices start at £1750 for a 7 night stay, or £1330 for 3 nights in low season. Tempted? You should be. 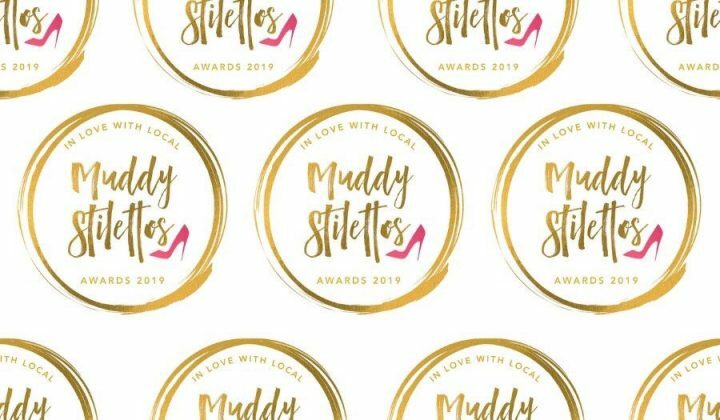 If not, then how about a 15% Muddy discount to seal the deal for your 2019 hols? Just use discount code ‘Muddyatgitcombe’ when making an online booking, or give Emma a call on: 07597 398127 and she’ll sort you out.